Have you always wondered how to break into Hollywood? 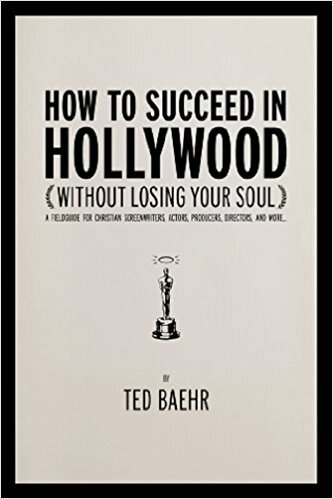 Dr. Ted Baehr is an entertainment industry professional who knows what it takes to make it in Hollywood. Moreover, he is a committed Christian who knows the pressures and opportunities unique to people of faith in this precarious world of show business. How to Succeed in Hollywood will show Christians how to use their faith to change the culture of Hollywood and mass media entertainment by using their God-given and God-ordained gifts and talents to make significant creative contributions to the entertainment world. Readers will learn from industry professionals-the brightest and best people of faith in the entertainment industry-how to develop their screenwriting, acting, directing, producing, and behind-the-scenes interests to make Hollywood and the world a better place. Listen to the interview with Dr. Ted Baehr on Lit Up! with Angela Breidenbach. Lighting up the literary world with book reviews, in-depth expert interviews, and ideas to design a lucrative creative career. Listen weekly and expand your imagination to enhance your life – Always family-friendly, always good for your heart.